John Moran enjoys a broad-ranging musical career. As a determined 7-year-old he convinced a very kind music teacher at his school to let him learn the cello, though he was officially too young for the program. Once he realized how much he liked the instrument, he abandoned his secret plan of switching to the double bass and joining an old time band. He holds performance degrees from Oberlin and the Schola Cantorum in Basel as well as a PhD in musicology from King’s College London. His own formative teachers have included Brigitte Czernik-Gruenther, Robert Ashby, Richard Kapuscinski, Catharina Meints, and Hannelore Mueller. He teaches viol, baroque cello, and musicology at the Peabody Conservatory, where he and Risa Browder are founding co-directors of the school’s critically acclaimed Baltimore Baroque Band. He loves introducing students to, and training them in, historical approaches that present thoughtful ways of engaging through music, such as viol consort music as a form of social discourse and the decentralized, shared musical direction of an orchestra. As a core member of REBEL he tours extensively and can be frequently heard on the radio. He is artistic director of Modern Musick, in residence at Georgetown University. He is a longtime principal player with the Washington Bach Consort and co-creator of that group’s Wunderkind Projekt, an outreach program that introduces Washington, D.C. Public School students to Bach cantatas. He has performed and recorded with many of Europe and North America’s leading period-instrument ensembles. The Washington Post has called his Bach “eloquent”, and praised the “bravado” of his Boccherini and the “nimble fluency” of his Vivaldi, while the LA Times has written, “Cellist Moran projected vigorous and expressive bass lines.” He is a contributor to the revised New Grove Dictionary of Music (2001), is writing a historical monograph on the cello for Yale University Press, and is currently president of the Kindler Cello Society of Washington, D.C., and vice president of the Viola da Gamba Society of America. 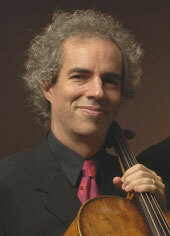 He is married to the violinist Risa Browder.